This gleaming ethnic piece has been exclusively detailed with creatively designed heavy zari embroidered work done at tapetta silk fabric lehenga and choli. Available pink net fabric dupatta highlighted with zari embroidered work motifs and lace border. 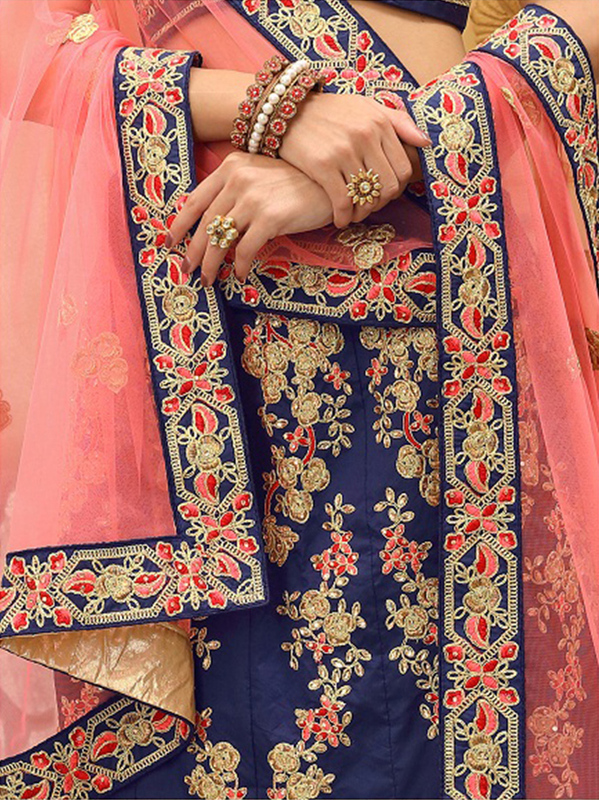 Specially designed to wear for weddings functions and special occasions where you want to look your ethnic best. Pair it with golden jewelry to make your overall look more rich and graceful.